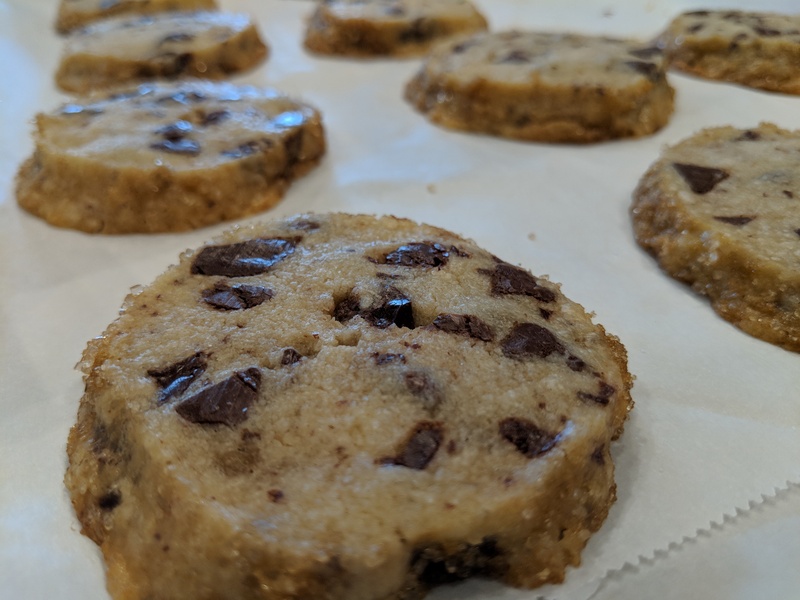 This recipe has generated a huge amount of discussion on the internet, claiming to be a better “chocolate chip cookie”. I would have to say that I agree if it wasn’t for the soft gooey centers of traditional style cookies. Using stand mixer with the paddle attachment, beat butter, granulated sugar, brown sugar, and vanilla on medium-high speed until super light and fluffy, 3–5 minutes. Divide dough in half, form dough into a log shape roughly 2″ in diameter. Chill until firm, about 2 hours. Preheat oven to 350°. Line a rimmed baking sheet with parchment paper. Brush outside of logs with egg wash. Roll logs in demerara sugar. Slice each log into 1/2″ thick rounds. Arrange on prepared baking sheet about 1″ apart. Sprinkle with sea salt. Bake cookies until edges are just beginning to brown, 12–15 minutes. Note: Cookie dough can be made 1 week ahead or frozen up to 1 month. Cookies can be baked 5 days ahead. Store in plastic wrap or an airtight container.